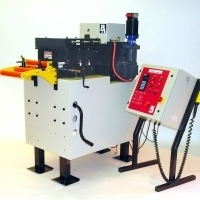 The Model Magnum is Robust in Size and Construction. 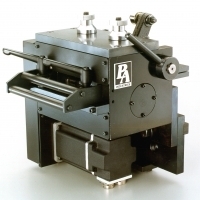 The Roll Feed frame is machined from a stabilized casting for strength, rigidity, and precision. 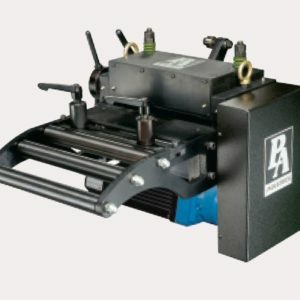 Feed rolls are fabricated from heavy wall alloy steel tubing. 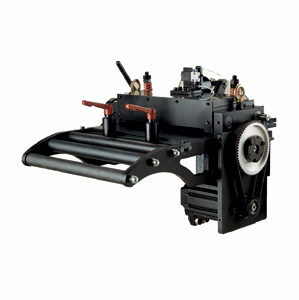 A press mounting bracket with plus or minus 2″ vertical adjustment is included as standard equipment. The combination of servo motor and gear reducer gives the Magnum optimum pulling power, speed, and accuracy. The electrical control features include Jog-To-Feed length, press or feed priority selection, press/feeder synchronous checking, six digit batch counter, and single stroke capability. 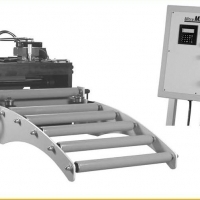 Other controller options such as strip measurement wheel, sequential feeding, and tool gagging, are available.